This week on GymCastic, it’s raining men. The triumphant return of CUBA (WAG 4th place team) and how much we want Yesenia Ferrera and Manrique Larduet to defect too! 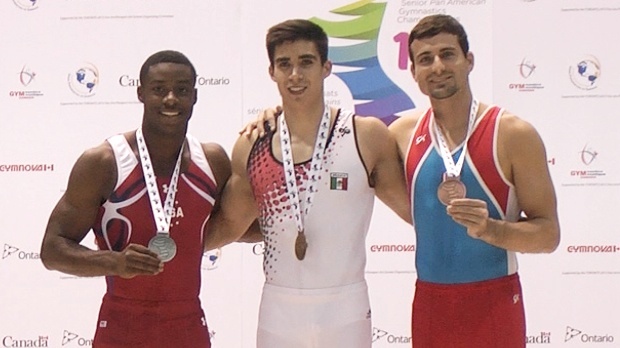 How competitive was the men’s competition at the Pan American Championships? This chart shows the top men’s all-around scores for the qualification rounds at each competition. Pan Am’s for men were more competitive than Commonwealths, about equal to Europeans, but not as competitive as Worlds. Compiled by Cordelia Price. Apply for tickets to the 2015 Pan Am Games in Toronto here. 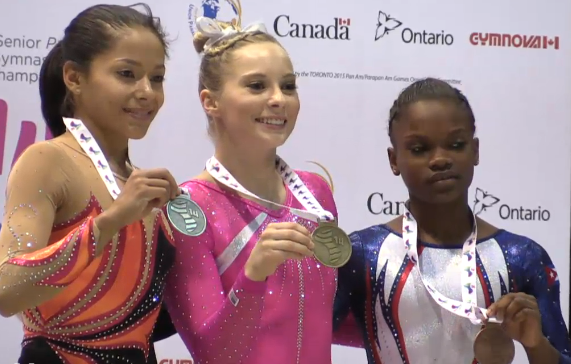 Jessica Lopez (L to R), Mykayla Skinner and Yesenia Ferrera of Cuba. I just wanted to let you guys know that I have been having a really tough couple days due to a cat’s illness and listening to your podcast was a temporary distraction. 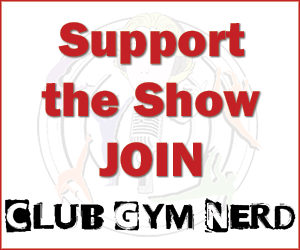 I know it is “just” a gymnastics podcast but your hardwork is really appreciated. Props for the terrifying string music when Cordelia Price was discussing USA’s beam problem. When I think about this problem, I now hear that music.